Provide comfort for the family of Lola Wright with a meaningful gesture of sympathy. WRIGHT, LOLA nee: Marjerrison – Longtime member of the Royal Canadian Legion, Branch 178 and the Ladies Auxiliary. 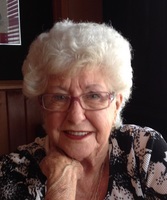 Passed away at Lakeridge Health Bowmanville on Friday, April 12, 2019 in her 92nd year. Lola, beloved wife of the late Donald Wright. Loving mother of David (Lori), Heather Reeve (Murray) of Vernon BC and Scott. Loved grandmother of Karen, Mason, Erin, Matthew (Sarah), Kaitlynn (Cory), Stephen and Daniel. Loving great-grandmother of Tyrha, Seth, Trinady and Adrianna. Pre-deceased by her sister Jane Wilson. Visitation will be held at the MORRIS FUNERAL CHAPEL, 4 Division Street, Bowmanville on Friday, April 26, 2019 from 7 – 9 p.m. A Memorial Service will be held in the Morris Chapel on Saturday, April 27, 2019 at 11 a.m. with visitation one hour prior to the service. Donations to the Bowmanville Hospital Foundation or the Canadian Cancer Society would be gratefully appreciated. 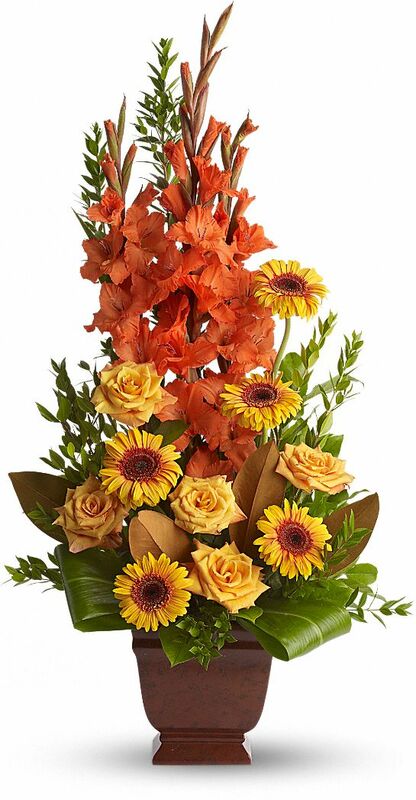 To send flowers in memory of Lola Wright, please visit our Heartfelt Sympathies Store. We encourage you to share your most beloved memories of Lola Wright here, so that the family and other loved ones can always see it. You can upload cherished photographs, or share your favorite stories, and can even comment on those shared by others. Provide comfort for the family of Lola Wright by sending flowers. David , Heather ,Scott & Families Thinking of You All I have so many fond Memories of Your Mom She Worked Alot of Years At Our Jewellery Store And will be missed by many . Your Mom was An Amazing Lady. Heartfelt Sympathies Store purchased flowers for the family of Lola Wright. Our Deepest condolences to Scott, Heather, David & Families on your Moms passing. Lola was a wonderful woman, loved by many and will be missed by many. Our thoughts and prayers are with you all during this sad time in life. Rest in Peace Lola.